Here's something I wrote for Open Streets in Corvallis (it's August 19th). Open Streets 2017 gave me the opportunity to combine two of my favorite things: flânerie and talking to strangers. 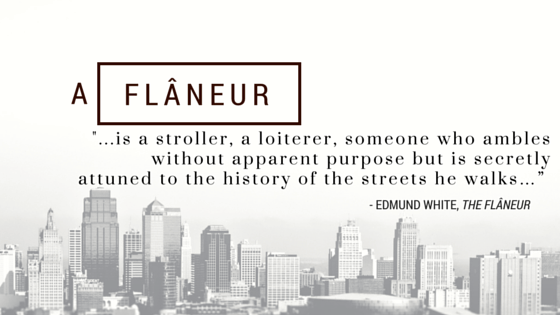 A flâneur is a person who strolls around in urban environments. And talking to strangers adds a bit of improv to the act of strolling. I’m interested in resilience. There’s a “social ecology” to resilience – it is strengthened through a person’s physical and social environments. How cool is that? You can improve your capacity to navigate your way to resources that sustain your well-being by strolling around and talking to strangers you meet along the way. I’m the Creative Director of the Resilience Project, here in Corvallis (not pictured). We are starting a new event called the Summer Games – it’s kind of a scavenger hunt where teams complete events for points (our mayor will present the winning team with gold medals at the end of the Games – how cool is that?). The events are all designed to improve participants’ resilience, and give them opportunities for some silly fun for a week in August. You should probably start training now for Open Streets. Start by taking a weekly walk around your neighborhood – put on some comfy strolling shoes and stay hydrated for chatting. I’ll see you on August 19th at the Pop-up Poetry booth.